This entry was posted in Oral Surgery and tagged acupuncture, bell's palsy, cranial nerves, demyelination, facial nerves, facial palsy, herpes zoster, Inflammation, nerve dysfunction, paralysis on November 30, 2011 by chzechze. A tooth is made up of enamel, dentine, and the pulp. Enamel is the hardest part of the body, even harder than any bone in your body. This is because enamel is made up of 90% inorganic matter, consisting mainly of hydroxyapatite crystals, which are essentially made up of calcium and phosphate. This entry was posted in Oral Care and tagged amorphous calcium phosphate, calcium phosphopeptide, casein, CPP-ACP, MI paste, recaldent, tooth mousse on November 29, 2011 by phebe. This entry was posted in Oral Surgery and tagged bell's palsy, central facial palsy, facial drooping, facial nerve, facial palsy, facial paralysis, house-brackmann score, infranuclear/lower motor neuron type, innervation, peripheral palsy on November 29, 2011 by chzechze. The base of the flap should be wider than incisal margins for adequate blood flow to the reflected flap. This entry was posted in Endodontic treatment and tagged endodontic surgery on November 29, 2011 by meifong. This entry was posted in Oral Care and tagged anticavity fluoride rinse, cavities, flouride rinse, fluoride, fluoride dental rinse, fluoride mouth rinse, fluoride mouthwash, fluoride rinses, sodium fluoride on November 29, 2011 by oileng. 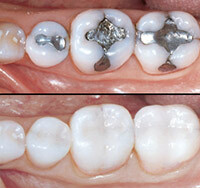 Preservation of the dentition and maintenance of function are dental professions ultimate goal. The advances in non surgical endodontic therapy has been explosive, but it has also been a mixed blessing. 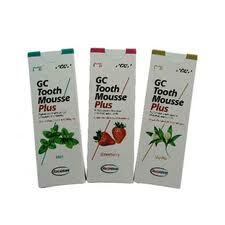 It is indicated in fewer than 5% of endodontically treated teeth. The success rate of endodontic surgery is high, ranging from 73-99%. This entry was posted in Endodontic treatment and tagged endodontic surgery on November 28, 2011 by meifong. This entry was posted in Oral Surgery and tagged internal jugular vein, lymph nodes, merkel cell carcinoma, metastases, modified radical neck dissection, radical neck dissection, selective neck dissection, spinal accessory nerve, squamous cell carcinoma, sternocleidomastoid on November 28, 2011 by chzechze. 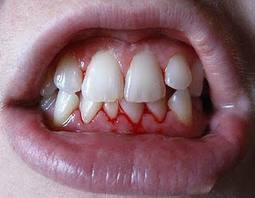 Control the bleeding by applying pressure directly on the gums with a gauze pad, soaked in ice water. Avoid using gum gels to relieve pain and arrest bleeding. 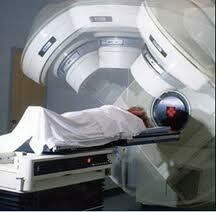 It only offers temporary relief and the disease thus advances further, causing more pain and complications. If the bleeding is due to local irritants, a professional scaling may be necessary to halt the bleeding. This entry was posted in Oral Care and tagged gum bleeding. 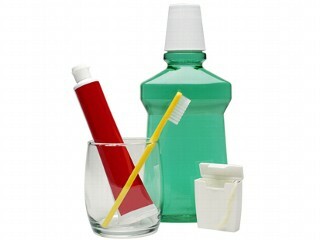 gum disease, periodontal diseases on November 27, 2011 by phebe.